So, You’ve Decided to Hire a Lawyer: Attorney - Client Privilege | Kalijarvi, Chuzi, Newman & Fitch, P.C. Welcome to the first post in KCNF’s new blog series, “So, You’ve Decided to Hire a Lawyer.” Every few weeks, one of our attorneys will highlight an aspect of the attorney-client relationship and litigation process to help non-lawyers understand what can happen when they retain a lawyer. We start the series with an explanation of the cornerstone of your relationship with your lawyer: the attorney-client privilege. When you hire an attorney, in most situations, she has to keep anything you tell her – and she tells you – confidential. There are exceptions, of course – she may discuss your case with her law firm’s partners, she can call the police if you threaten to hurt yourself or plan to commit a crime in the future, and, if you sue her for malpractice, she can testify about your conversations and how that affected her representation of you. Also, if you have retained an attorney to represent you in litigation, your attorney is expected to disclose the information that will help advance that litigation. The attorney can write the complaint or motion, or present information in settlement negotiations, to help achieve the goal of the representation. Otherwise, unless you give your express permission, your attorney must take everything you tell her to her grave. This solemn understanding is referred to as the attorney-client privilege and it is codified in every jurisdiction’s rules of professional responsibility. As with any privilege, it can be pierced. The client holds the privilege, which means the client is the only one who can waive it. A client can intentionally waive the privilege by telling his lawyer to share something, or unintentionally, by being careless and talking about his case with his lawyer in the presence of others. 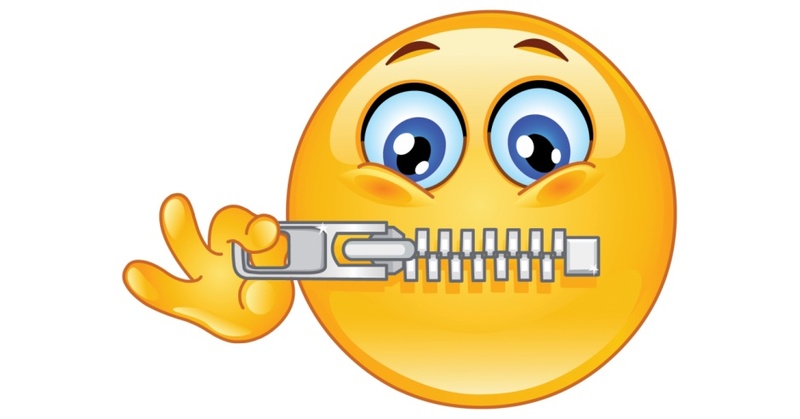 If a judge decides that the attorney-client privilege has been waived because a third party knows of the contents of a communication, then the other side gets to learn what the opposing attorney and client discussed. Depending on the information disclosed, these unintended disclosures can ruin a case and make any chance of prevailing very hard. The worst case scenario, for example, might occur if a plaintiff emails her lawyer with some information about her case she just learned, and copies her adult son on the email. In the email, she reveals a fact very harmful to her case. Later, in litigation, the defendant discovers this email and that the son was a recipient. The defendant argues to the judge that the plaintiff waived attorney-client privilege by intentionally letting a third party – her son – be privy to the conversation with counsel. The judge agrees and orders the plaintiff to give the email to the defendant. When the defendant gets the email, he sees that it contains a direct admission from the plaintiff of a fact harmful to her case. He then tells the plaintiff that he knows how weak her case is and settlement becomes much less likely. In order to avoid unintended disclosures, try to obtain as much privacy as possible when you speak with your lawyer on the phone and only exchange emails with your lawyer on a private account which only you can access. This means you should not call your lawyer on speakerphone from a coffee shop to ask him questions about your upcoming deposition and you should not email him from your work account. Nor should you conference in your friends or family members on calls with your lawyer. Your neighbor’s husband may have seen a lot of EEO cases during his twenty years in a corporate human resources department, but sharing the case theory you and your lawyer developed breaks the privilege (although the “work product” privilege is not waived by sharing the information with persons other than the opposing side). You may have relied on close friends and relatives to be sounding boards in past times of trouble, but now that’s your lawyer’s job. You have hired a professional to advise you – too many cooks in the kitchen can create a mess. The attorney-client privilege is the most vital part of the professional relationship and it is both the attorney’s duty and the client’s responsibility to protect the confidentiality of their communications. This blog is provided to our readers for informational purposes only. It is not offered as legal advice. Communication of information through this blog does not create an attorney-client relationship. You should not rely upon information contained in this blog without first seeking professional legal advice. NextCan Seeing A Therapist Block Your Security Clearance?